Until we know more, don’t give your baby a homeopathic teething tablet. The U.S. Food and Drug Administration recently issued a warning saying that over-the-counter homeopathic teething tablets and gels may cause seizures or other health problems for infants and children. “Teething can be managed without prescription or over-the-counter remedies,” said Janet Woodcock, M.D., director of the FDA’s Center for Drug Evaluation and Research, in a prepared statement. She advised parents of teething children to seek advice from their health care providers. The agency said it’s testing samples following reports that such tablets and gels have caused seizures. Homeopathy is an alternative medical system that believes substances that are harmful in large doses may be helpful in small ones. Homeopathy also asserts that a product’s effectiveness increases as the dose of active ingredients is decreased. The U.S. National Institutes of Health says there is little evidence to support homeopathy as an effective treatment for any specific condition. The FDA pointed out that the homeopathic teething tablets and gels sold by retailers such as CVS, Hyland’s and others aren’t evaluated for safety or effectiveness. And the agency said it’s unaware of any proven health benefits of the products. The chain said it is cooperating with the FDA’s investigation, adding that the manufacturing plants where the tablets are made comply with good manufacturing practices. “You may use them with confidence,” the statement said. Hyland’s and the FDA have a history on this subject. In 2010, the agency warned about homeopathic teething tablets containing belladonna, a poisonous plant also known as deadly nightshade. The FDA said samples sold by Hyland’s contained varying amounts of the substance. Hyland’s later recalled the product. CVS continues to market its teething products, including Orajel Gel, whose prime ingredient is benzocaine. Both companies include consumer warnings with their products and advise parents to check with their health care providers if their babies show adverse effects. The FDA warning, with the headline, “FDA warns against the use of homeopathic teething tablets and gels,” is posted on the agency’s website. Here is Hyland’s response to the FDA warning. You can learn why the National Institutes of Health’s National Center for Complementary and Integrative Health is skeptical of homeopathy at the agency’s site. The agency advises consumers to tell their health care providers about any complementary health practices you use. Providence echoes that advice on its page about homeopathic medicines. 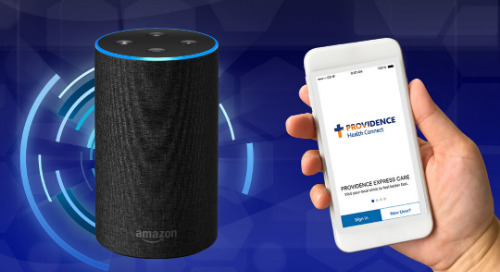 To find a Providence provider, click to our multistate directory.